Auroralite™ rigid PVC cellular foam RPVC products make an excellent wood replacement, combining the maintenance-free features of vinyl with the matte finish look of painted wood. They allow easy nailing and screwing, while providing mildew resistance, rot resistance and weight reduction properties. Our line of Auroralite™ rigid PVC cellular foam includes powder compounds that generate lightweight, low-density profiles ideal for interior/exterior trim work, windows, garage doors, weather seals, decking, railing, slat wall and much more. 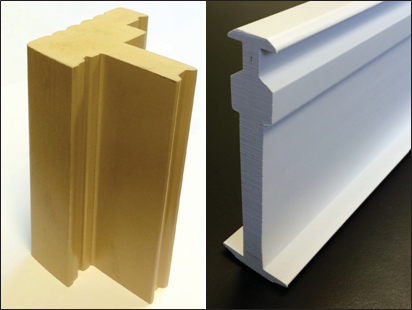 These PVC cellular foam extrusion grade compounds can be used as a lightweight wood replacement that can be easily cut, routed and shaped just like real wood, with the added benefit of being rot, warp and crack resistant. 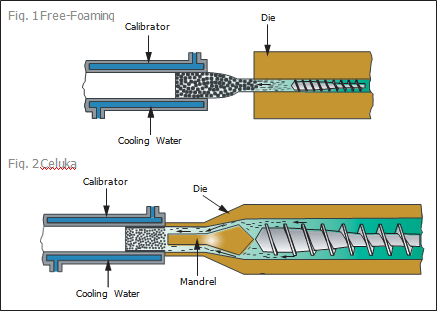 Because of its reduced density (lighter weight), processors are able to make more parts with less compound.